In our family, our holidays have always been a little crazy. Up until the last few years they would mean traveling cross country to be home for our (minimum of) three family celebrations. With all this travel it left us little time to do much else in the way of creating fun holiday traditions. Now that we are living much closer to our families and planning to stay in one place, I decided it was most certainly time to start establishing our own family traditions. First up: Family Movie Night. In our household, holiday movies are the greatest! Some of my sons favorite movies of a time are Home Alone, A Christmas Story and Polar Express. We love them. So this year we decided to make it a little more fun. 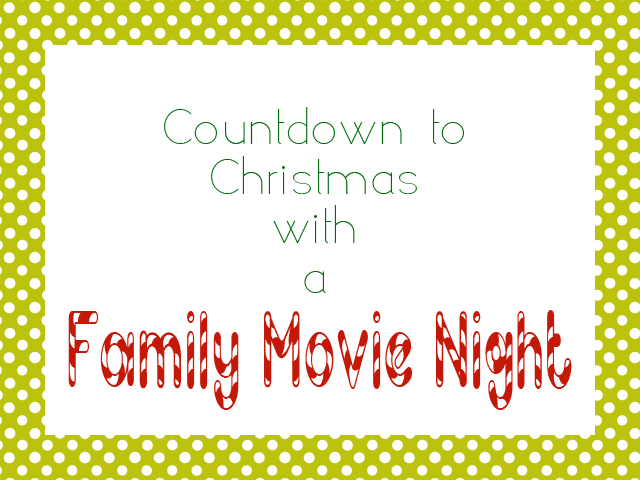 Each Friday in December leading up to Christmas the kids will open one gift- a Christmas movie! We will snuggle up in the couch with our popcorn and hot cocoa and enjoy these great movies together. Not only is it a great way to spend time together as a family and build the excitement for the upcoming holiday- it's also a really great way to grow your holiday collection for years to come! Want to start your own holiday movie night? Here are a few of our favorites for the occasion! With so many Christmas movies available- both new and old- the possibilities are endless! Love family movie night! Especially holiday movies. Nothing more fun than watching classic Christmas movies with family!